Louth Town were pipped for the second week running as they suffered their 11th defeat of the Lincolnshire League season on Saturday. Having suffered an agonising late defeat to Wyberton the previous weekend, the White Wolves went down by a single goal to fourth-placed Lincoln United Development. 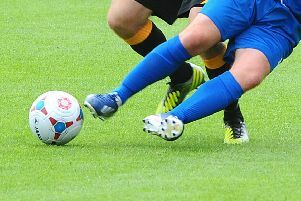 Town had held the visitors in a goalless first half, but Lincoln struck the winner after the break. Town are four points adrift at the bottom, but hope to reduce the gap when they host second-bottom Grimsby Borough Reserves on Saturday. Kick-off at Saltfleetby is 2pm.